So many teachers tell us how reluctant they are to have students write in all content areas because they fear they’ll have a stack of additional papers to read. Writing is an efficient way to cover multiple standards at one time. Are you teaching about your state in social studies? Or the human body in science class? Why not have the students write about it for their assessment? You’ll be able to see how much the students have learned AND see if they understand the elements of informational writing. Not to mention you’ll be able to see if they’re able to apply the language standards you’ve been covering! Ready to get started? 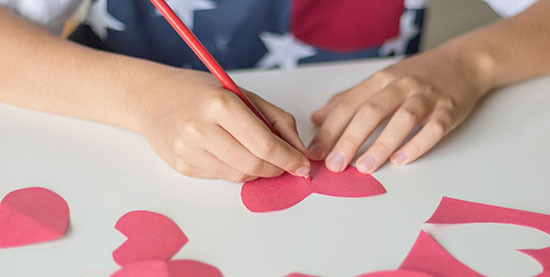 Here’s our “Write Your Heart Out” freebie with some Valentine’s Day ideas to get your kiddos writing across the curriculum. Share your ideas with us on Twitter @WritingCityK5!